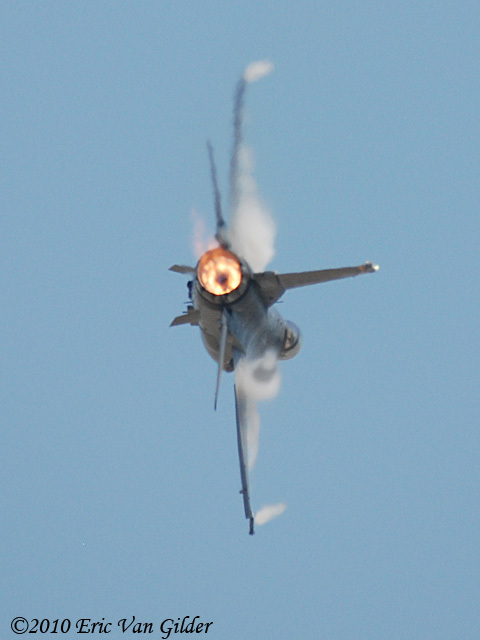 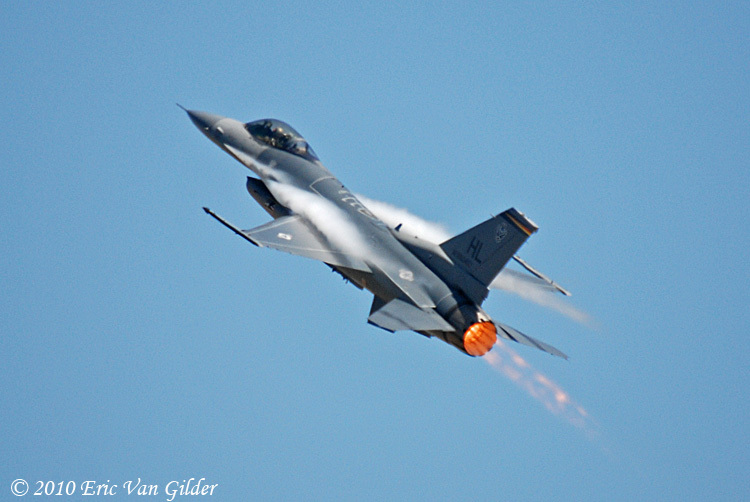 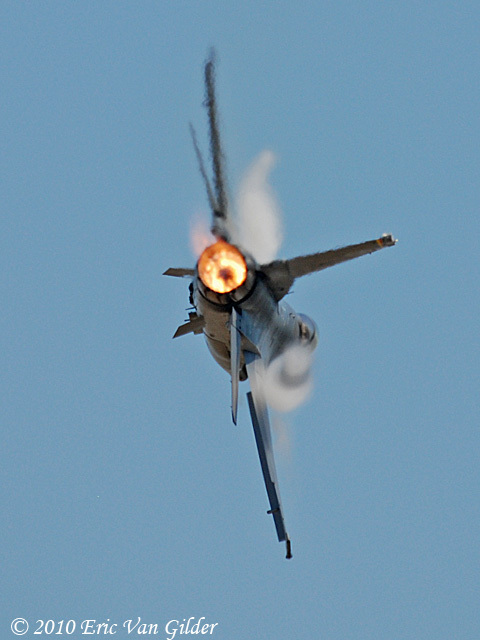 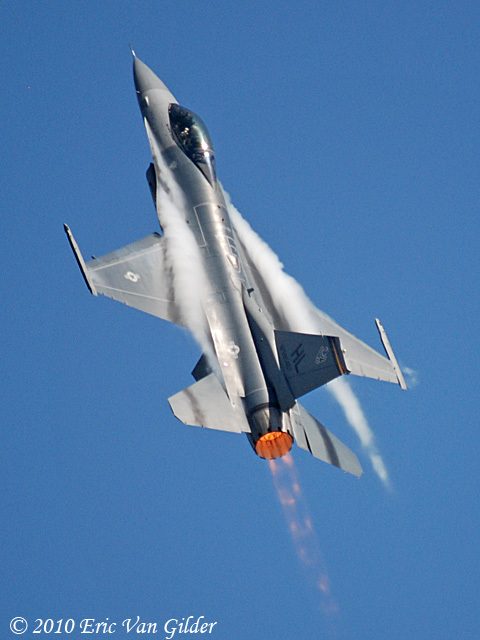 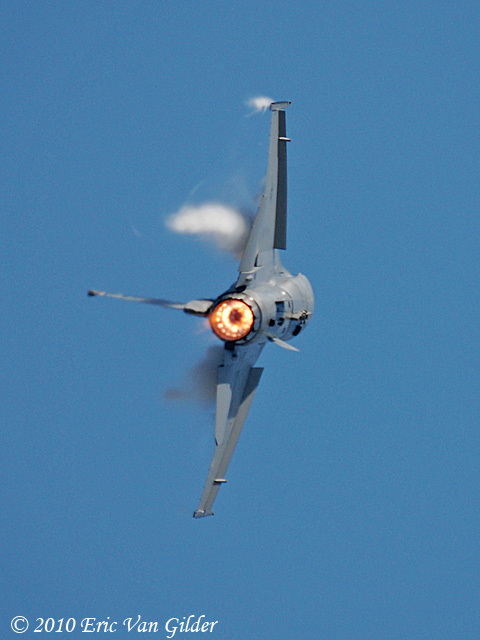 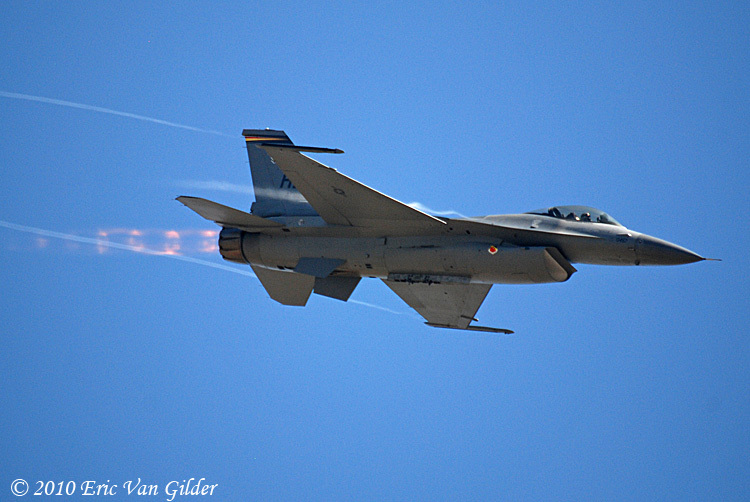 This is an F-16C Block 40 that is part of the Viper West demonstration team. 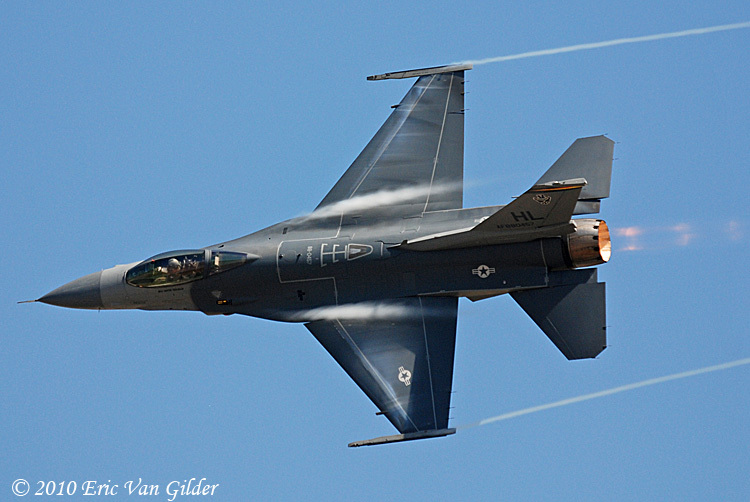 The markings indicate that it is part of the 388th Fighter Wing, 4th Fighter Squadron based at Hill AFB, Utah. 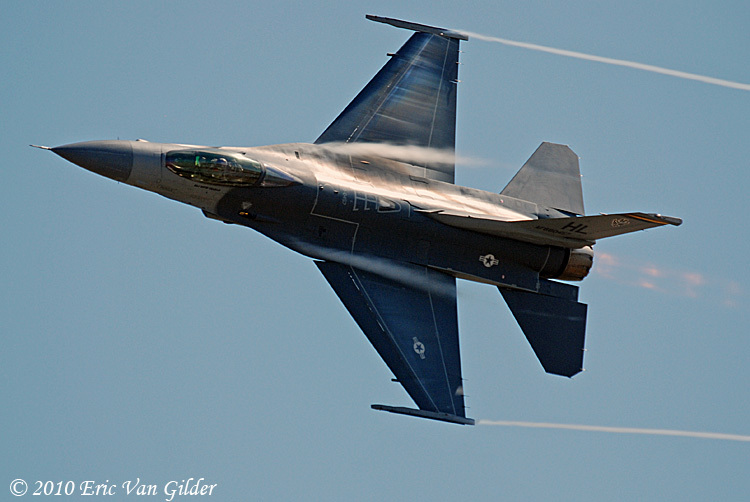 This Viper flew solo and demonstrated the capabilities of this fighter. 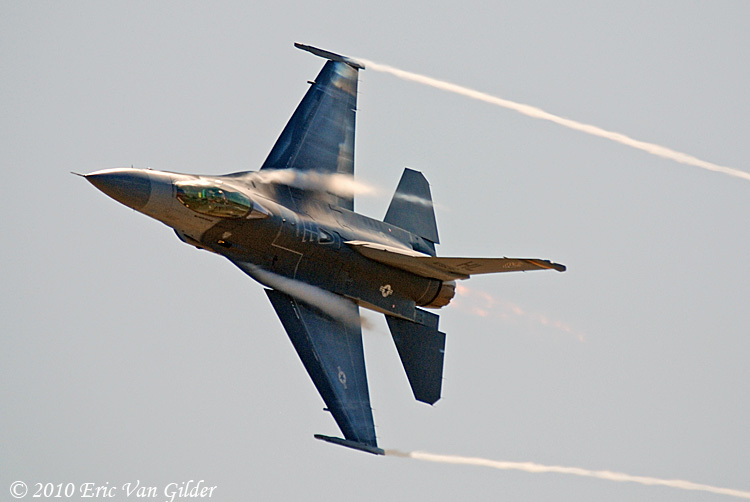 After the demonstration, the F-16 flew with two P-38 Lightnings and a P-51 Mustang for the USAF Heritage Flight.